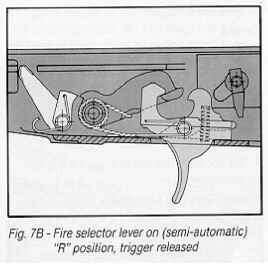 In this position the fire selector lever does not act either on the trigger or on the disconnector. Pulling the trigger operates the disconnector causing it to engage the hammer, preventing it from moving upward. In this mode the rifle will fire one round each time the trigger is pulled. 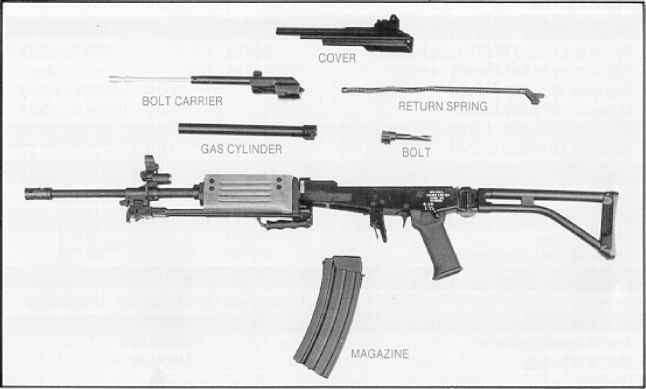 In order to fire another cartridge the trigger must be released. 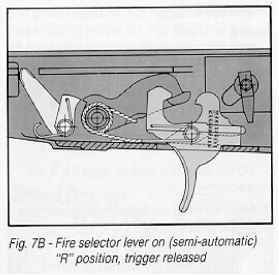 When releasing the trigger the disconnector releases the hammer which, in turn, is engaged immediatly by the trigger's sear. Pulling the trigger causes the release of the hammer from the trigger sear, thus hitting the firing pin.